Described as “outstanding for vocal colour, agility and panache” (The Sunday Telegraph, UK), Fiona McAndrew is a “full lyric soprano with a dazzling high coloratura” (The Independent, UK). She combines deeply intelligent musical ability with theatrical integrity, in roles from Mozart to contemporary repertoire. Recent career highlights include two guest appearances at the Semperoper, Dresden as Sr Rose, Dead Man Walking; the title role in Jackie O at the Teatro Comunale, Bologna (released worldwide in DVD on the Dynamic label) and Anne Sexton in Transformations at Wexford Festival Opera. Roles performed include: Violetta La Traviata, Marie La Fille du Regiment, Fiordiligi Cosi fan tutte, Lucia Lucia di Lammermoor, Martha Martha, Blanche Les Dialogues des Carmelites, Woglinde Das Rheingold, Adina L’Elisir d’Amore, Donna Elvira Don Giovanni. She has broadcast live in concert with the BBC Concert Orchestra, Irish Symphony Orchestra, Irish Chamber Orchestra and most recently for the ABC live in recital for ABC Classic FM and in a studio recording of La voix humaine. She has sung in concert with the Northern Sinfonia, UK, Staatskappelle Dresden, Ulster Orchestra, San Antonio Symphony, the National Symphony Orchestra of Ireland, the Irish Chamber Orchestra, and Dresden Sinfoniker in repertoire ranging from Bach to Steve Reich. Fiona was also invited to sing in separate recitals for The President of Ireland and Prince and Princess Michael of Kent. 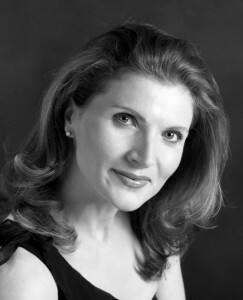 She is currently the recipient of an Australian Postgraduate Award (APA) for PhD research into operatic performance practice and is based in Perth, Western Australia.